From the outside it just looks like a simple pharmacy. 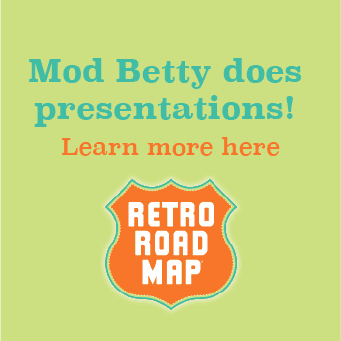 Although not as plain and boring as your chain drug stores like CVS or Walgreens. But look closer. Start with the vintage neon sign. 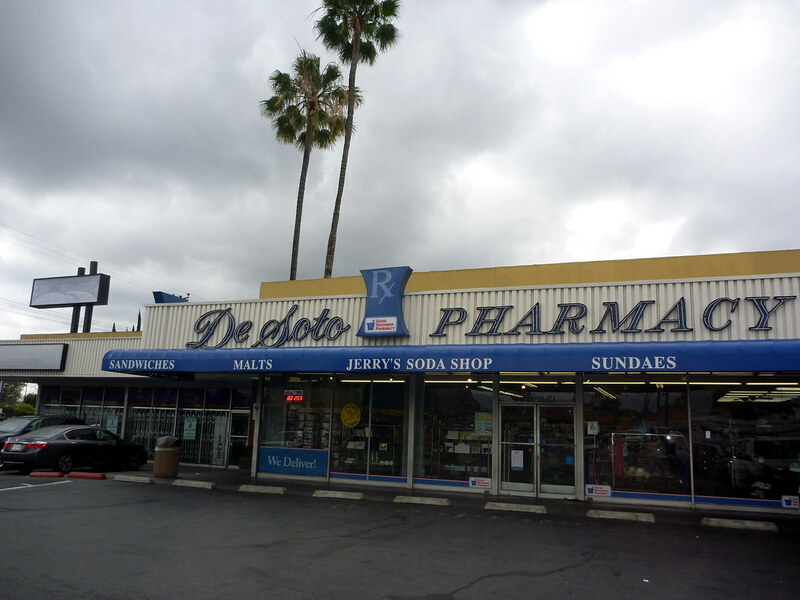 That to a trained “Retro Lover's” eye is the first indications that De Soto Pharmacy in Canoga Park, California since 1959 may be much much more. Look beyond the rows of medicines, ointments, greeting cards, stuffed animals and a wheelchair or two and you see something truly special. An oasis of long ago. A nostalgia packed nook glimmering like a beacon in the distance. 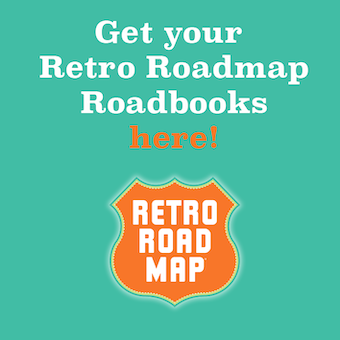 Welcoming your Retro-Loving self to step closer. By God it's a vintage counter of some sort! You enter and walk by the smiling, friendly cashier (don't see those at the chains) and the reason You (and I) came to this drugstore deep in the San Fernando Valley. Take a seat at one of the dozen or so gleaming old school counterstools (or four tiny 2 top tables) and realize— You are home. 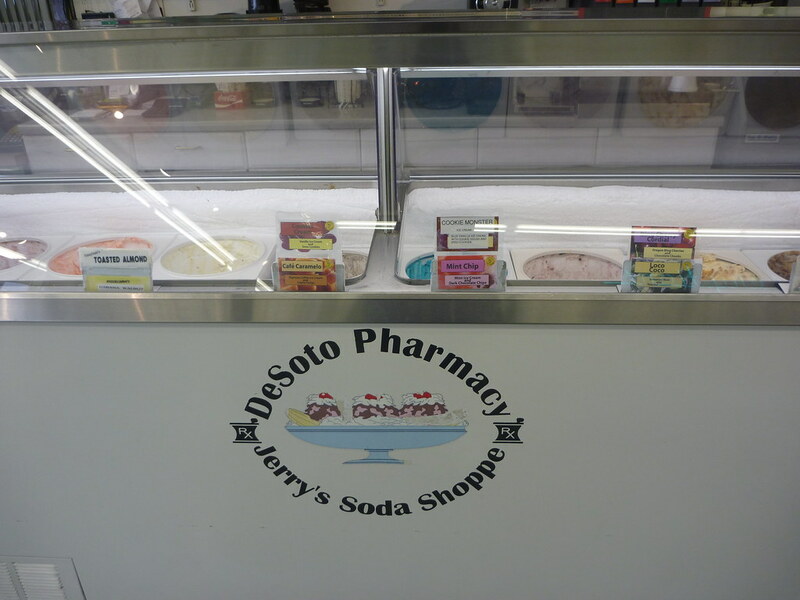 Welcome to Jerry's Soda Shoppe inside Desoto Pharmacy & Soda Shoppe. 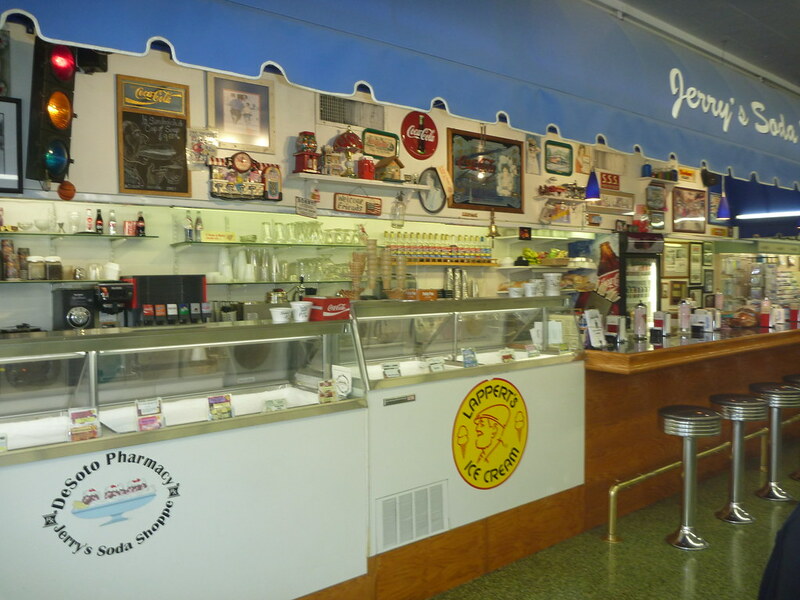 First you choose from twenty different flavors of Lappert's and Fosselman's ice cream to choose from. While there my wife had the Kona Coffee. 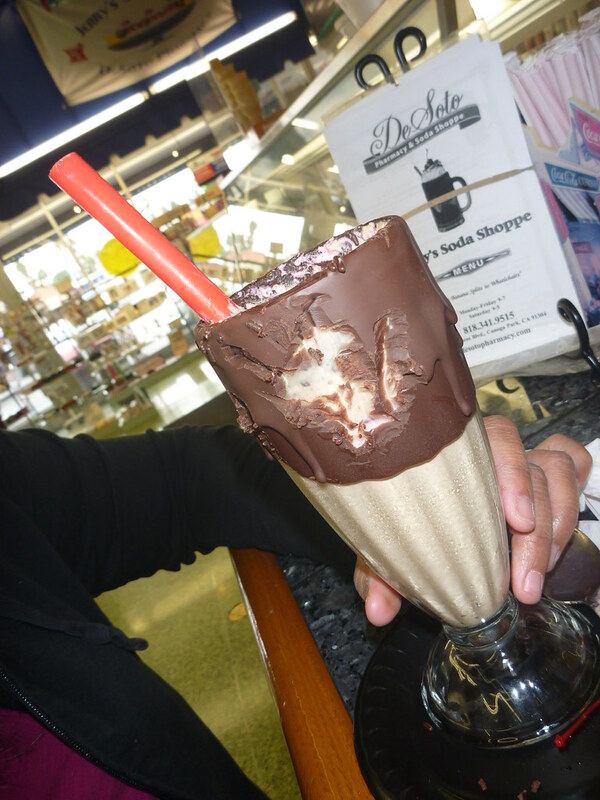 Then watch as your soda jerk constructs this frozen masterpiece. First she coats the glass in a covering of fresh chocolate. Churns the handmade ice cream into a thick mix of love and dairy complete complete with whipped cream and a cherry on top. 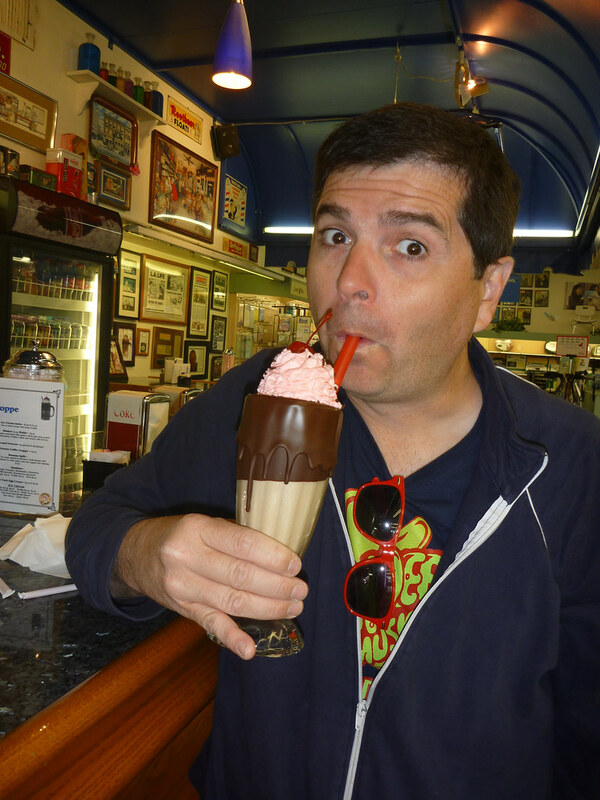 After my wife finished her milkshake I picked up the glass and was gnawing on it like a turkey leg at the Renaissance fair. Carving off as many pieces of the fresh real chocolate as possible. I had the best and most sublime non-dairy lemon sorbet ever. Made me not feel sad about being lactose intolerant for once. 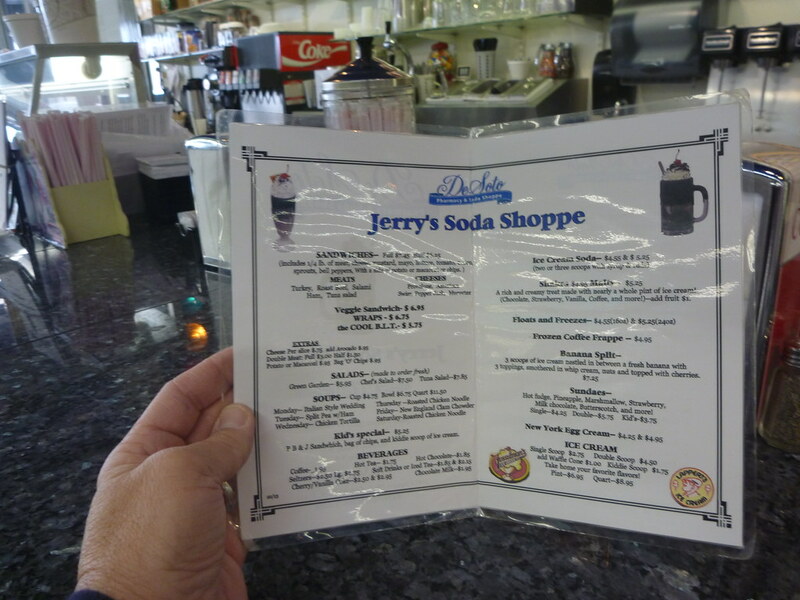 And if you're hungry they also offer salads, sandwiches and a soup of the day. Each listen on the menu. Except Thursday, where the soup of the day is “Soup Du Jour.” Twice the mystery!  If the place look familiar it has been in several TV commercials, film and TV shows including “Breaking Bad” and “Matchstick Men.” And after you enjoy the treats why no browse and pick up other things you need. After all their slogan is “From Banana Splits To Wheelchairs.” Maybe we should have had the banana split? Next time. 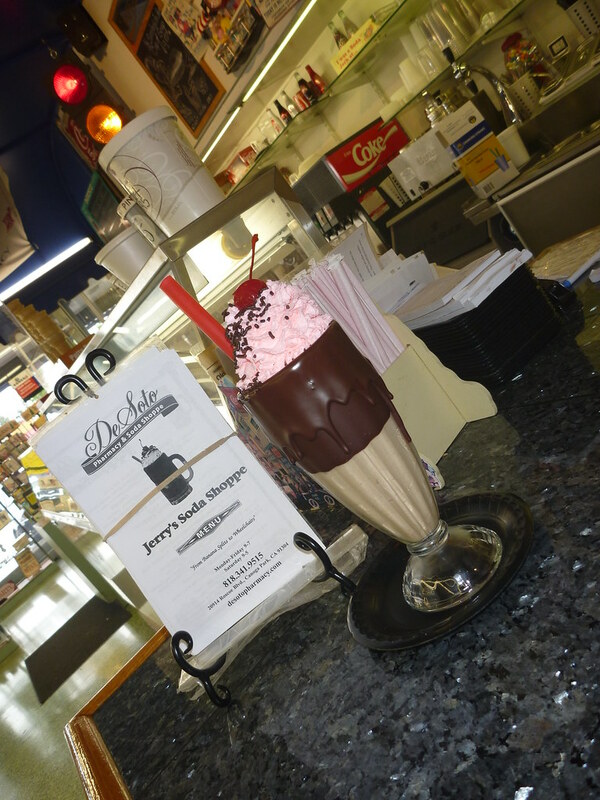 For a cool and refreshing blast of old school treats do yourself a service and head deep into the valley to Desoto Pharmacy. It will be more than worth the trip.